Hello, friends! 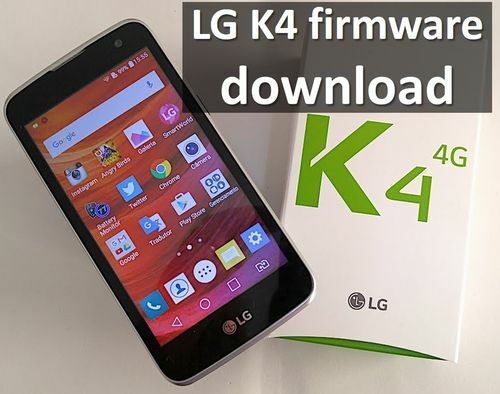 Today we share with you some LG K4 firmware download. Here you find firmware for different phone versions and regions. Be sure to check your LG K4 version before flashing. Wrong firmware can damage your smartphone. First, let’s recall main features of LG K4. The smartphone was released in January 2016, but specifications and features are very modest for today. It has 4.5-inches screen, which is an excellent size to hold a smartphone in one hand, but the resolution is rather low - only 480 x 854 pixels. In addition, LG K4 offers 1 GB of RAM and 8 GB of internal memory. The processor depends on the version of smartphone: K120E, K130E (versions LG K4 for Europe and Russia) works on Mediatek MT6735M, while Canadian version comes with Snapdragon 210 chipset. In any case, both processors are rather modest. Nevertheless, you should not forget that the price LG K4 at the time of release was about $130, and now even less. Given the LG brand, as well as the nice design and some interesting features, LG K4 is quite attractive device. Now let's talk about the main topic - LG K4 firmware download. As we have already mentioned, LG K4 has different versions for different regions: K120E for Europe, K130E for Russia and CIS, K121 for Canada, LGK130Y for Singapore and LGVS425 for US carrier Verizon. You should find out the version of your smartphone (it's possible that you are using cell phone in Europe, but it was brought from Singapore), and install the appropriate firmware. So, here is our list of popular LG K4 firmware download. Use the links above to LG K4 firmware download and install on your cell phone. If you have any questions, write the comments below.